Antonio Carlos Jobim and Elis Regina. 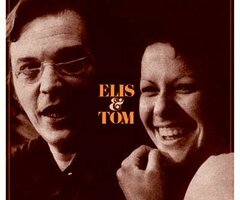 Elis & Tom (1974; released in U.S. in 1990). I can't believe it took until album number 42 for me to write about this legendary record. The Great Tom Jobim, of course, was the leading figure behind bossa nova, and many of his compositions have become jazz standards. Here he teams up with Elis Regina, the iconic Brazilian singer, for what is "widely regarded as one of the greatest Brazilian pop recordings." 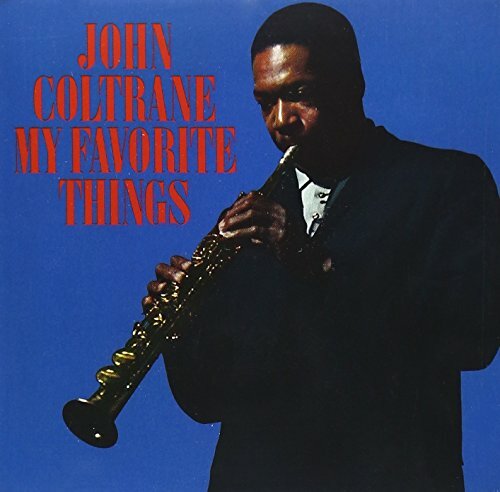 Jobim, in addition to writing and arranging, plays piano, some guitar, and occasionally sings with Regina, whose range and subtlety as a vocalist are stunning -- and perfectly suited for this material. The album leads off with Aguas de Marco, in which the two show off their great chemistry with an enchanting back-and-forth vocal, and follows with some of Jobim's greatest works, including Triste and Corcovado, all of which are beautifully interpreted by Regina. As the Los Angeles Times put it when remarking on the 30th anniversary of the recording, it is "an ageless snapshot, a time capsule of that moment: a collection of brightly hued yet haunting songs that float out of time."